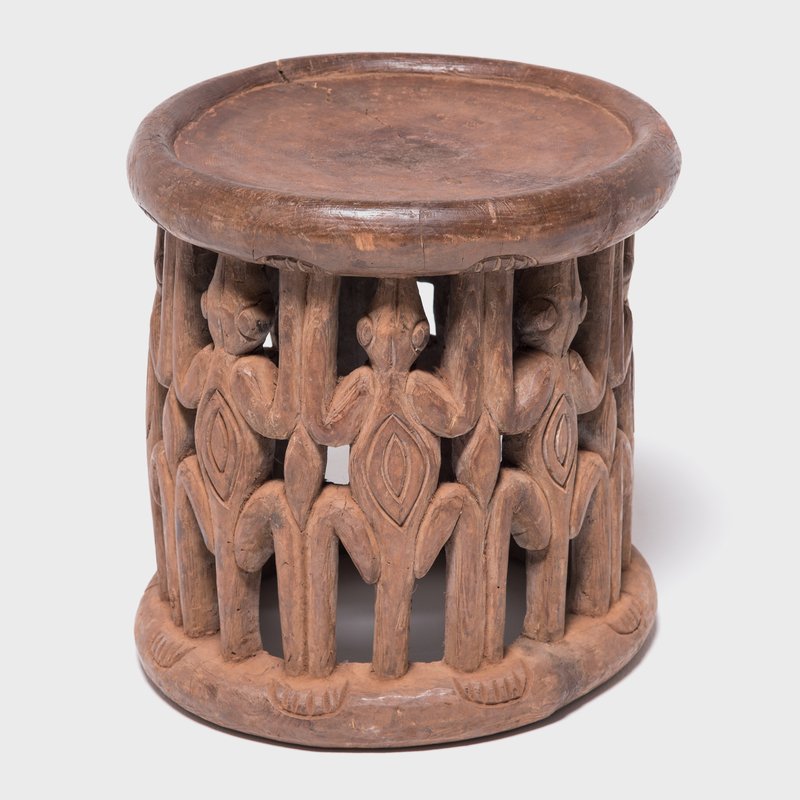 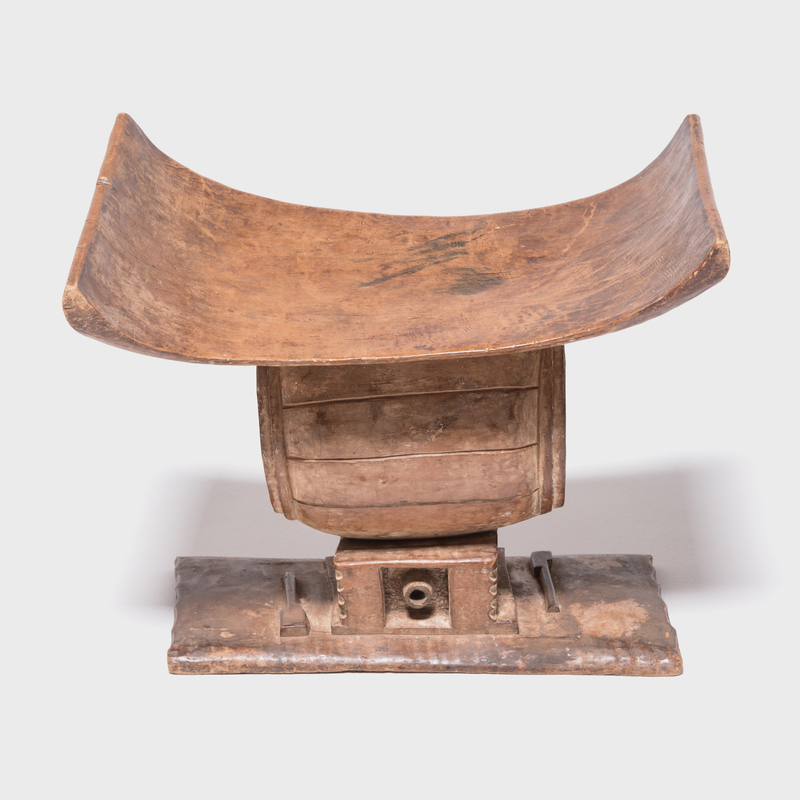 Marked by the telltale Bamileke rounded disc seat and base, this stool is supported with unexpected carvings of currency bells. 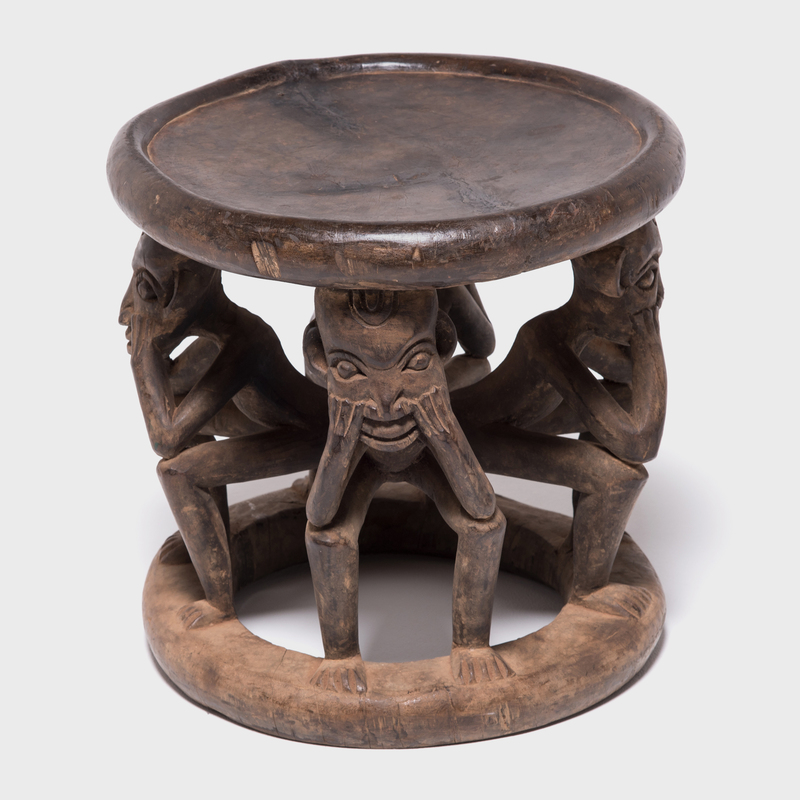 Carved out of a single tree trunk, the bells both decorate and support the seated individual. 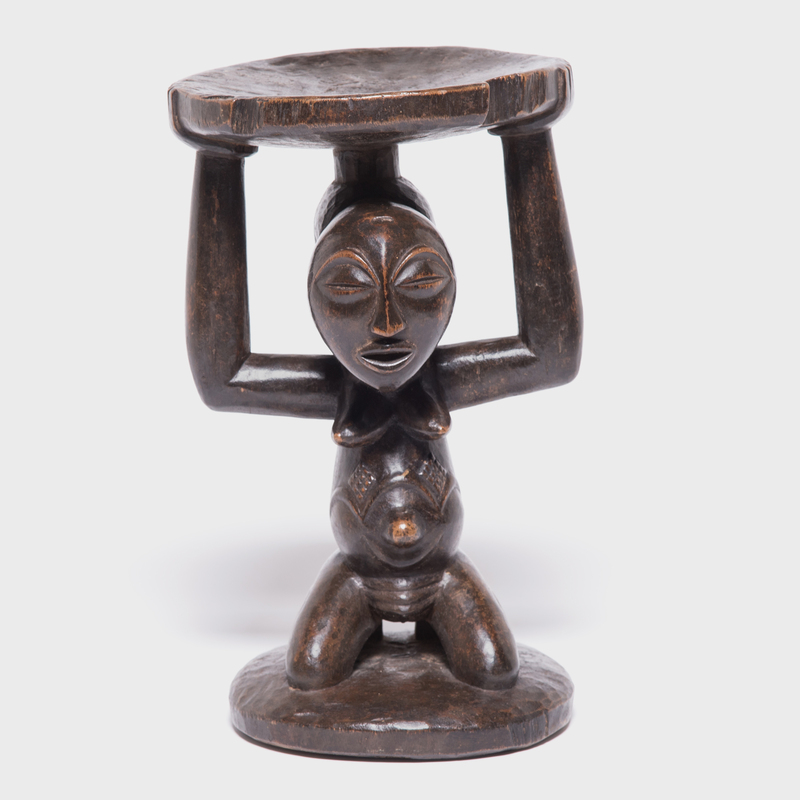 The double bells were ceremonial instruments, status symbols and traded currency. 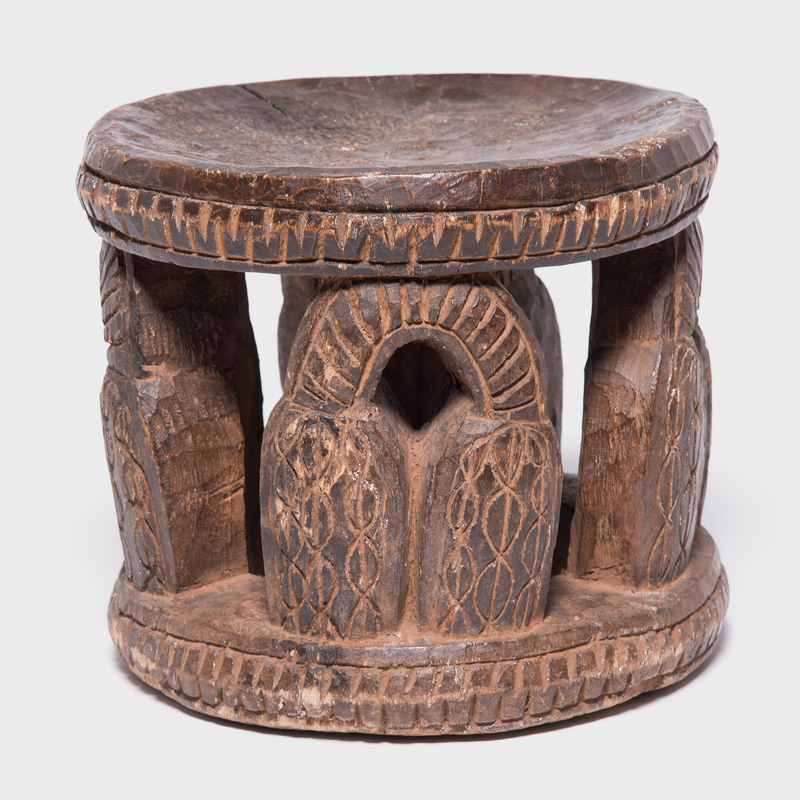 Time and use have marked the surfaces with wonderful texture that calls to be touched.